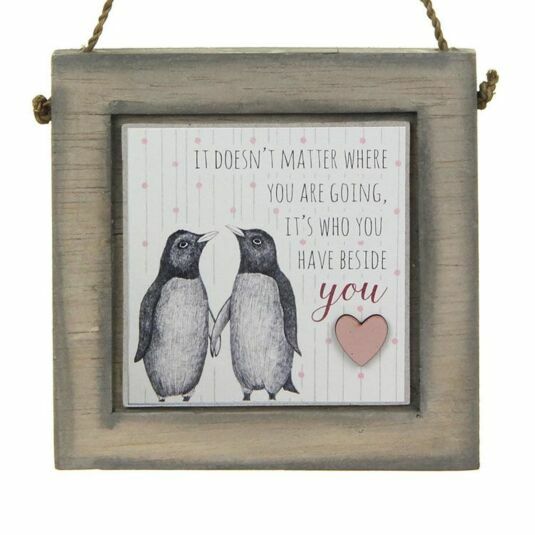 Perfect as a gift for a friend or loved one, this square wooden plaque from East of India features two adorably illustrated penguins with linking flippers, on a cream background with pink polka dots and grey stripes. 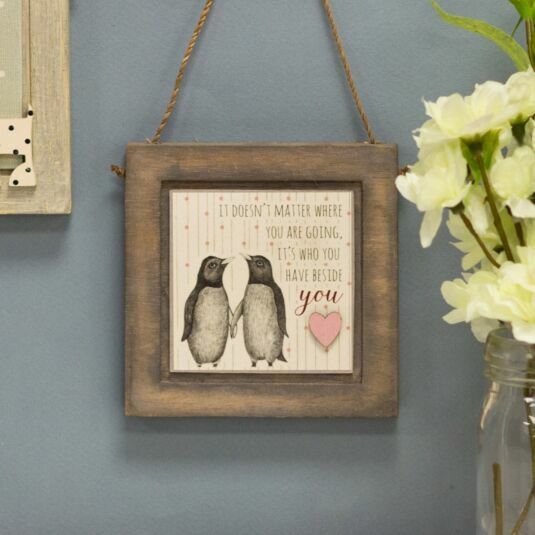 The plaque is decorated with a dainty wooden heart painted in soft pink, and finished with a vintage style distressed grey paint wash. 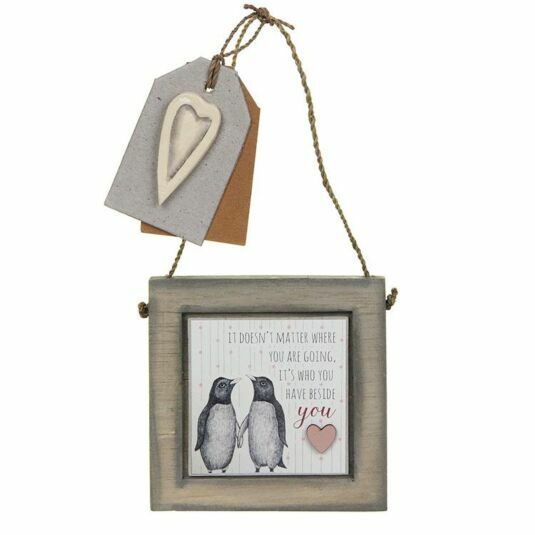 Twisted twine suspends the plaque and a pretty wooden heart is attached to a card label. 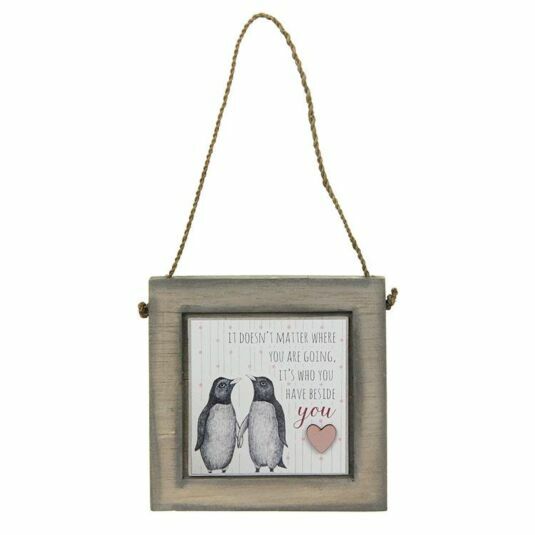 An additional label with ‘to’ and ‘from’ lettering completes this delightful gift.